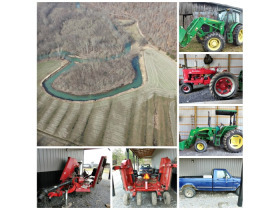 851 +/- Acre Farm & Farm Equipment at Absolute Auction | Fowler Auction & Real Estate Service, Inc.
Saturday, March 24th at 10:30 a.m.
438 Faulkner Road – Liberty, Ky.
Having decided to retire from farming, the Price's have authorized our firm to offer this outstanding farm at absolute auction.  This will be a live auction on March 24th, 2018 starting at 10:30a.m. We will sell the real estate first and then at approx. 1:00p.m. we will sell the Equipment via Simulcast (which means there will be live and online bidding at the same time). Directions: This farm is located ¼ mile north of The Bread of Life Café in Casey County and only a couple of miles from the city limits of Liberty. Auction signs are posted. Come closer to nature for a vision of God’s handiwork in the height of spring! A blank canvas for the splendor of nature, this farm is nestled along Green River where paradise awaits. Just in time for the planting season and greening fields, this farm offers the best of productive crop sites, tracts for small farming operations, for running large herds of cattle and/or horses and beatiful scenery for building your dream farmhouse ! 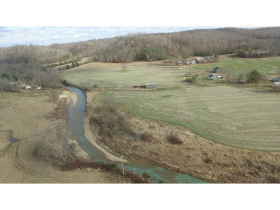 Wooded areas for hunting, streams for fishing, fields and trails for horseback riding, four wheeling, and bike riding. This farm is divided in to more than twenty tracts allowing you the opportunity to own a little slice of heaven on earth! Tract #1 - 1.15 acres - Excellent commercial site. 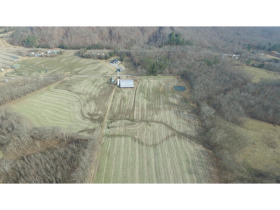 Tract #2 - 2.88 acres - This tracts includes two barns (one nice metal barn). ***All tracts will be sold from this site. Tract #3 - 5.06 acres - Ideal wooded building site. Tract #4 - 9.38 acres - Cropland, small farm site, or several building sites. Tract #5 - 11.01 acres - Cropland, small farm site or several building sites. Tract #6 - 18.74 acres - Perfect for running cattle, cropland and there is an older log house on this tract. These are good logs ideal for restoration. 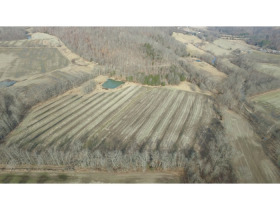 Tract #7 - 7.23 acres - Cropland, small farm site or several building sites. Tract #8 - 1.23 acres - This tact is an ideal building site and has an old store building. Tract #9 - 7.60 acres - Cropland, small farm site, or several building sites. 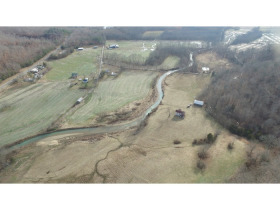 Tract #10 - 79.02 acres - Productive cropland - Also has a barn and joins Green River in the back. 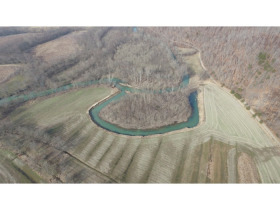 Tract #11 - 102.17 acres - Productive cropland - joins Green River in the back. 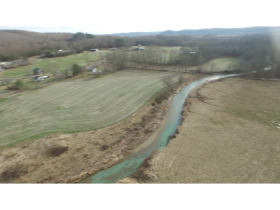 Tract #12 - 9.01 acres - Serene location for a getaway spot with lots of frontage along the paradise of Green River! Tract #13 - 75.15 acres - Woods, hunting and timber acreage. 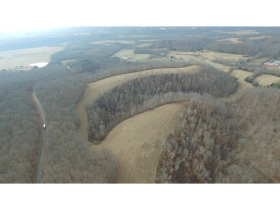 Tract #14 - 81.22 acres - Combination of timber and fields. Tract #15 - 6.93 acres - Commercial potential with this tract....lots of frontage along Highway 127. 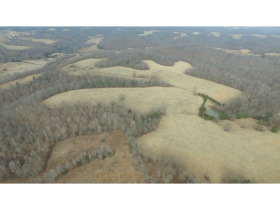 Tract #16 - 69.05 acres - Hunting and timberland - pasture and cropland!!! Tract #17 - 3.86 acres - Ideal building site. Tract #18 - 50.57 acres - Hunting and timberland - pasture and cropland!! Tract #20 - 1.69 acres - Wooded building site. Not only are we offering the farm but also an excellent selection of farm equipment including John Deere tractors, hay wagons, Bushhog, disc etc. The equipment items will be sold via simulcast (live/online) upon completion of the real estate. You can bid and view the catalog of equipment now. These are the only items we cataloged for the Simulcast, but there will be other equipment pieces, fuel tanks, hay rings, lots of gates, feed troughs, etc... offered at the auction. AUCTIONEERS NOTE: The best of farmland, baby farm sites, potential development/commercial sites, timber and you can leave your worries behind and head to the woods for hunting, camping, four-wheeling, trail riding, hiking…..this versatile farm has endless opportunitues!! 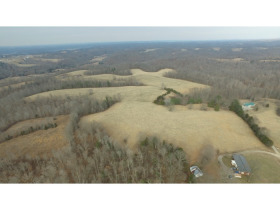 Join us on the morning of March 24th for this all importand land auction! Real Estate Terms: A 20% deposit is required the day of the auction with the balance due in 30 days for the real estate. Equipment and machinery pieces must be paid for in full the day of the auction with cash, check or major credit card in full. A 3% processing fee is applied to any credit purchase. Note: The purchaser of a single-family residence built before 1978 has a period of ten days to inspect the property for the presence of lead based paint. The inspection period is March 13th through March 23rd, 2018. The successful bidder must sign a waiver of the 10-day post inspection period. Ford Brothers, Inc. Online Auctions are timed events and all bidding will close as each lot is sold. Ford Brothers, Inc. To bid in the Simulcast format, you must go to the catalog, then click the green "Live Sale" option at the top of the catalog that will be available approx. 15 minutes to the start of the Live/Online Auction. Each lot will become available in sequential order and you will need to use the red "Bid" button to bid the next increment available. You can use the chat to ask any questions, but you cannot use it to bid. If you have any questions about bidding in the Simulcast format, be sure to give us a call at 606-679-2212. TERMS: 20% deposit the day of the auction with the balance due in 30 days for the real estate. Equipment and machinery pieces must be paid for in full the day of the auction with cash, check or major credit card in full. A 3% processing fee is applied to any credit purchase.